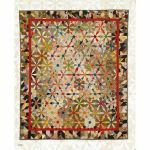 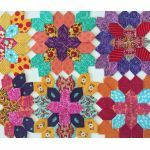 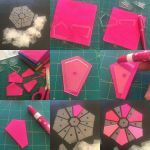 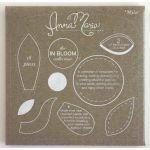 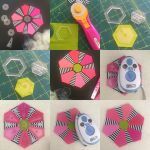 Mylar templates can be glue or sew basted and stitched together just like paper piecing shapes. 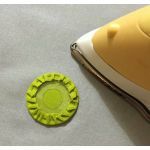 The difference is Mylar is stronger, reusable and heat resistant so you iron them and reuse them again and again. 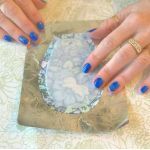 Mylar templates are also washable so water soluble glue washes away. 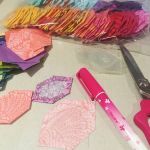 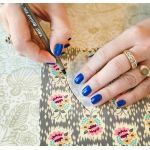 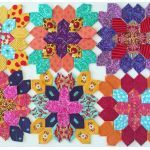 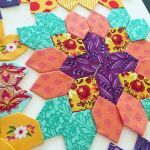 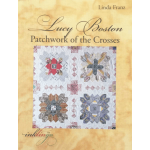 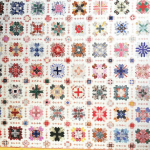 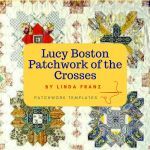 Do you sew through your papers when you are english paper piecing? 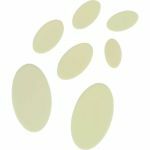 If so, you are not alone! 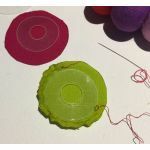 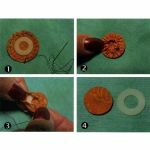 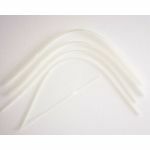 Mylar shapes are stronger than paper so guide your needle so your stitches are accurate. 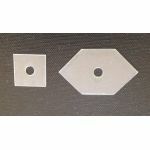 You can iron the front and back of your blocks before taking out your mylar shapes with the mylar still enclosed. 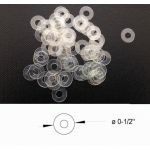 Great for accuracy! 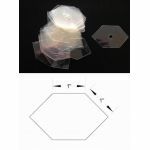 Our mylar shapes have a central hole. 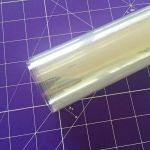 You can use a chopstick to pop your Mylar out easily when you are finished! 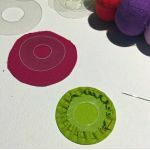 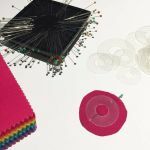 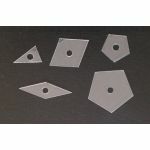 The central hole in the mylar shapes can also be used to pin the Mylar shape to fabric for sew basting your shapes. 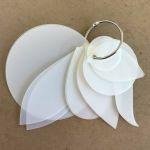 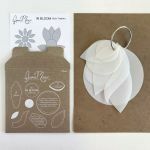 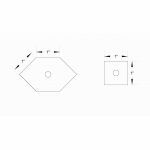 Mylar shapes are laser cut for perfect precision and accuracy. 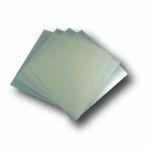 Mylar® is an extraordinarily strong polyester film that grew out of the development of Dacron® in the early 1950s. 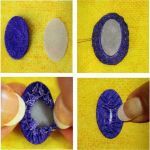 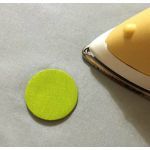 Heat resistant so they won't melt under your iron using a medium heat. 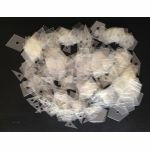 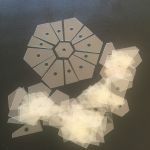 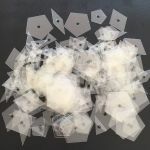 Wonderful to press your english paper (mylar) piecing blocks before removing your mylar shapes. 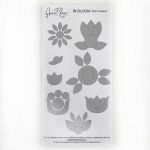 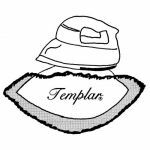 Heat resistant so you can also starch and press around your mylar shapes so your applique shapes are smooth for easy, precise stitching! 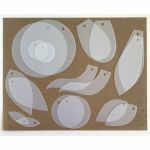 Reusable so you can make perfect shapes time and time again. 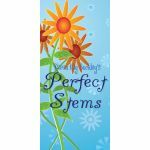 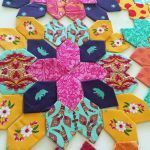 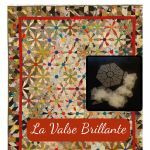 Particularly wonderful for English Paper (Mylar) Piecing and applique when your project uses the same shapes repeatedly. 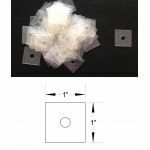 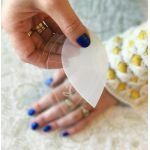 Sew or Glue Baste your mylar shapes. 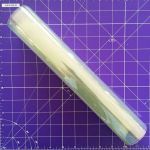 Sewline Glue is water soluble and easily washes off leaving your mylar shapes in perfect condition for reuse even after glue basting! 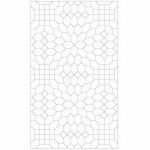 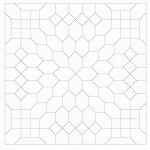 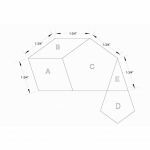 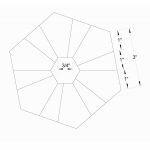 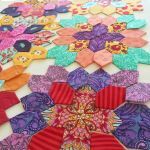 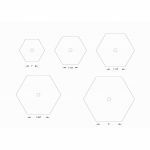 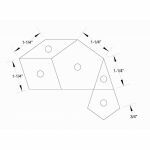 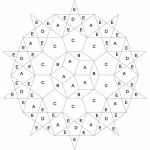 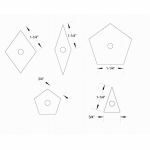 Mylar Hexagons are specially designed to help you build beautiful quilts with ease again and again. 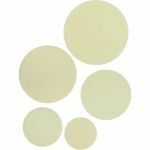 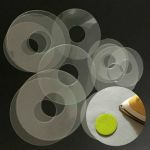 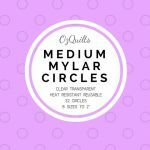 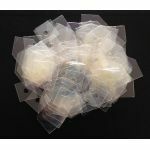 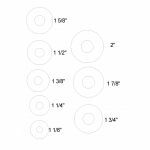 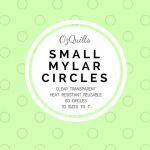 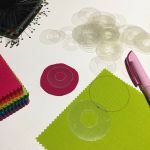 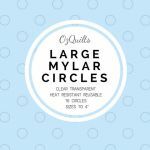 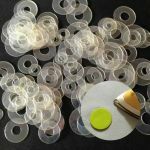 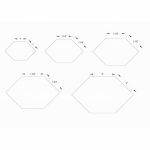 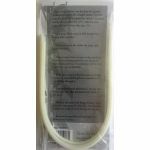 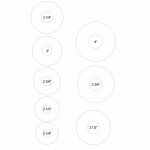 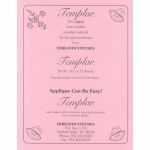 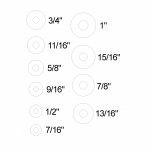 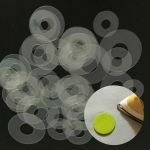 Small Mylar Heat Resistant Circles Templates Set to 1"
Medium Mylar Heat Resistant Circles Templates Set to 2"
Large Mylar Heat Resistant Circles Templates Set to 4"
Matildas Own Mylar Heat Resistant Sheets 12" x 6"